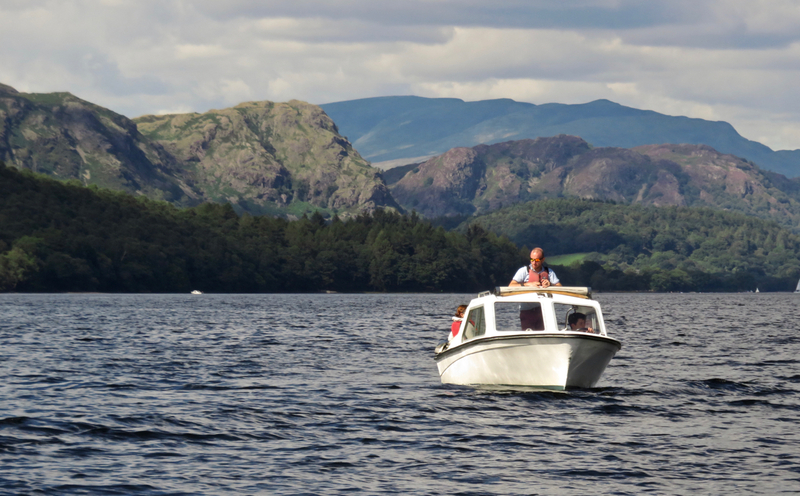 On Coniston water, Coniston fells behind. Weather conditions; A damn sight better than the dross we had to put up with a fortnight ago. Sun, blue skies. Gosh. Summits bagged: Yew Bank (678 feet above sea level, number 116 of my second round), Wool Knott (730′, no. 117) — these two being the two summits in the Woodland Fell chapter of volume 8, and then Beacon Fell (836’, no. 118). All three were previously bagged on walk 78, back in January 2014. Start and end points: Third walk in the last four to start in Coniston. Finished at the Sunny Bank jetty (SD293928), from where a boat run by Coniston Launches can return you to Coniston. We fitted the walk between the 10.20 #505 bus service arrival in Coniston, a bus that had left Windermere station at 09.24, and — with ten minutes to spare — the 15.40 boat pick up at Sunny Bank. This returned us to Coniston lake-shore at 16.20 (running slightly late); we then managed to get the 16.40 bus back to Windermere (also running slightly late) and, in the end, the 18.03 train service back to Preston. It should be pointed out that while there is a 14.30 boat service at Sunny Bank during the summer, a family we met at the jetty had been refused permission to board it as it was full. If the one we caught had also been full (which I imagine is quite possible on summer Saturdays), we could have been walking back to Coniston (adding another four miles to the trek). 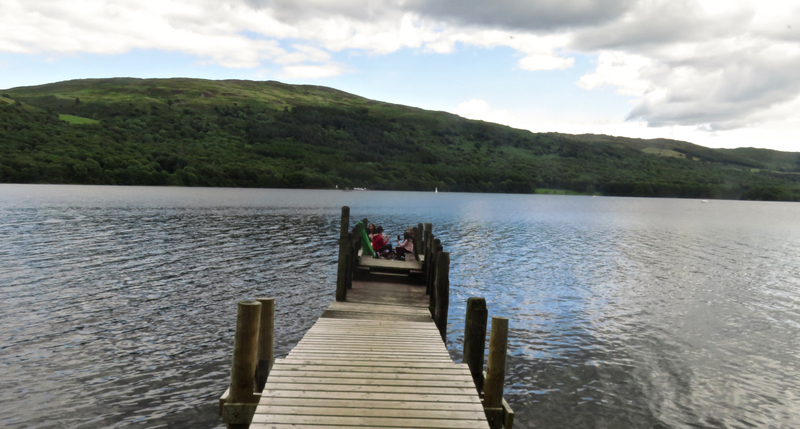 Note also that the pier at Coniston is a good ten to fifteen minutes’ further walking from the village centre and bus stop. 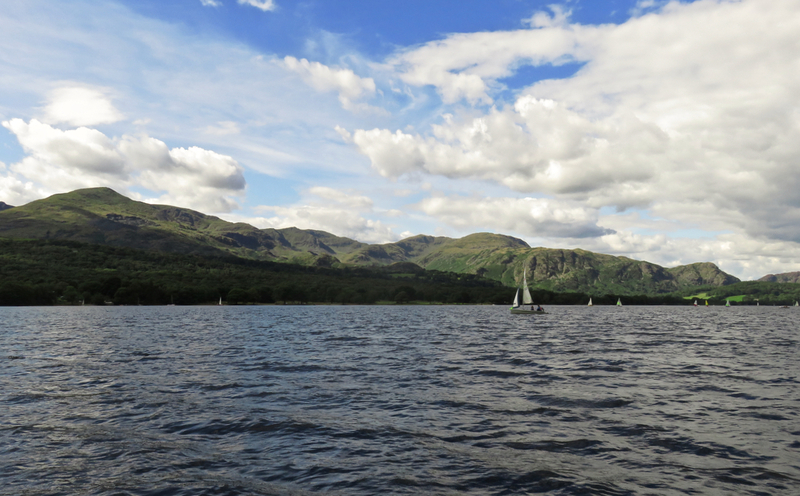 It would also be plausible to get a boat from Coniston out to Sunny Bank in the morning and start the walk there. It would shorten it in distance, but not necessarily in time. Distance walked: 10.6 miles approximately. Total ascent: I’d say about 2000 feet although that really is a total guesstimate today. Pub at end: There is nothing at Sunny Bank jetty, and never will be, more’s the pity. We just about had time between boat and bus to slake our thirst in the Crown Inn at Coniston. There are plenty of other options there for refreshments, but none of the other pubs or cafes have the same ideal view of the bus stop as the Crown. 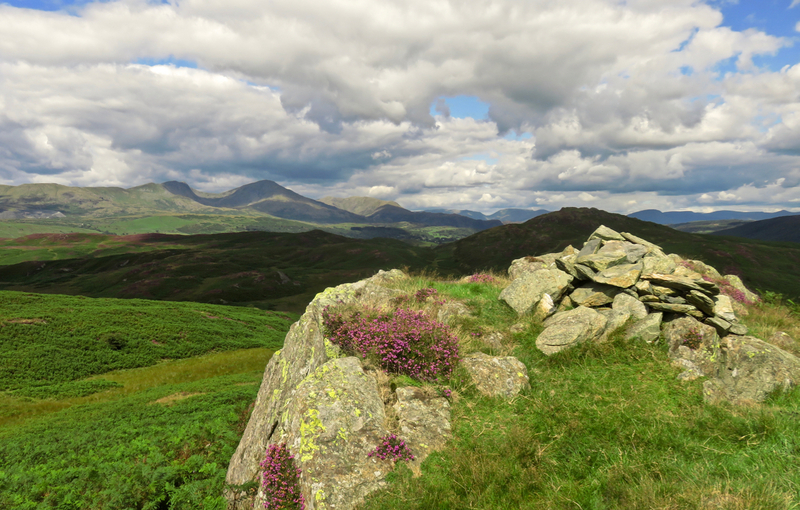 View towards Harter Fell, from Beacon Fell. It’s the kind of stuff below that you have to trudge through too much. Route: If it wasn’t for a section in the middle, this would be a good walk throughout, with easy gradients, mostly decent and well-maintained paths, and good views. 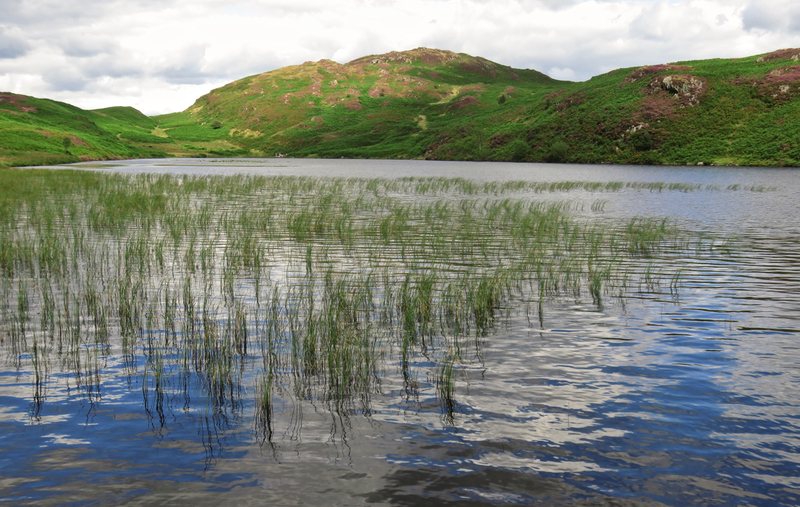 The section that spoils it is that between Yew Bank’s summit and Beacon Tarn. I didn’t enjoy it on walk 78 (when I did it in both directions), and we didn’t enjoy it today either, choked as it is by bracken and with some awkward gullies and ravines to negotiate. It’s a shame, because if it wasn’t for that passage I don’t see why anyone wouldn’t find this walk highly enjoyable and fairly straightforward. From the bus stop at Coniston head past the little Barclays bank, pass the toilets on the left (or don’t pass them, if you need to use them), and then take the road on the left past the garage, this is Lake Road. Where this takes a sharp bend to the left, you instead turn right, following the footpath signposted ‘Torver via Lakeshore’. This goes through the field and comes out at Coniston Hall, which round on the right, going through the camp site and then leaving that by the path along the lake shore. When I was last here (walk 99), I took the first main path on the right signposted Torver, but this time, we went a bit further on along the shore until passing Torver jetty, which isn’t the first one you come to, that’s a private jetty owned (apparently) by the University of Birmingham — it’s the second jetty, the one with the Coniston Launch timetable on it. Just past this, take the path on the right. This ascends straightforwardly through the woods before eventually coming out at a road, where go straight on and drop down to a path which is clearly the old Foxfield – Coniston railway, closed in the early 1960s. Turn left when you reach it, then when you come out onto a road, turn right and then cross the main road at the pub (a hard place to walk past on a sunny day). This is Torver village. Go down the back lane here, which gets you off walking on the main road. When the lane reaches said main road again, go almost straight across to the farm road, past the little cottage called ‘The Crossing’. You can just follow this road for a mile and a bit until the tarmac ends at the very rustic farm of Haveriggholme. Go straight on down the public bridleway. This curves round and climbs until it reaches the top of what amounts to a pass. 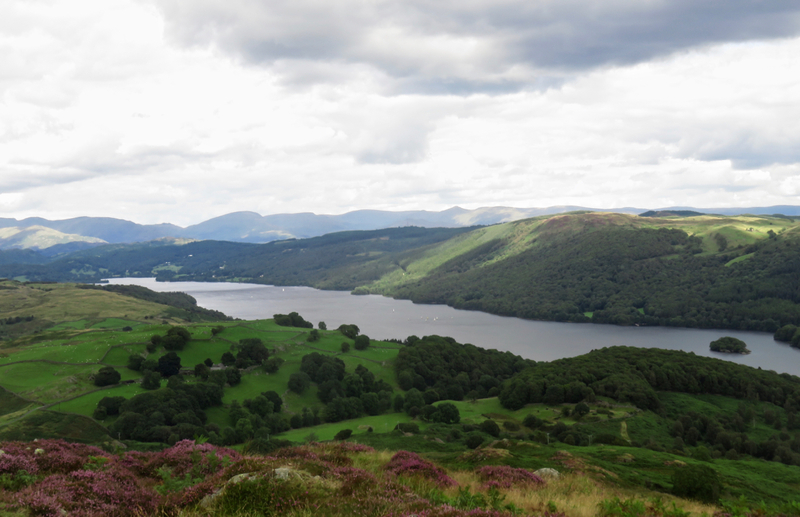 On the right is another of the Lakes’ innumerable The Knotts; Yew Bank, the first of Woodland Fell’s summits of the day, is on the left. 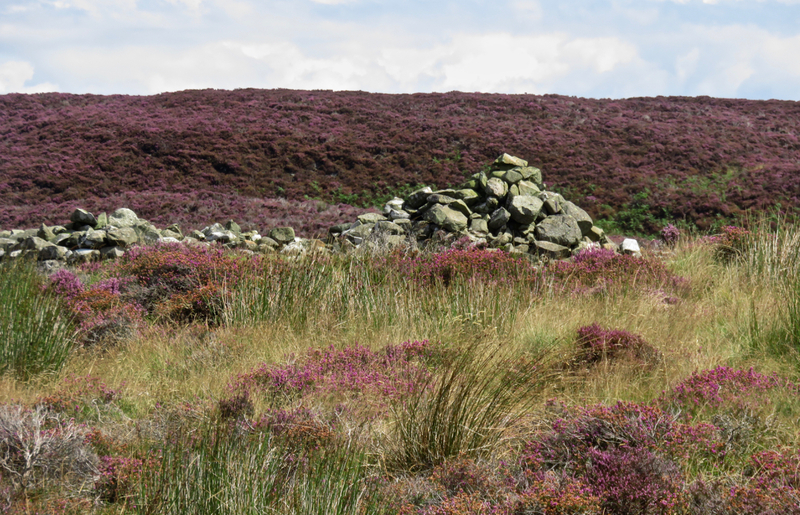 At the summit of the pass, look for a thin, but dependable track climbing the fellside to the left, and when this in turn reaches its summit, turn right: Yew Bank’s tall cairn is clearly visible above and will be reached in due course. All this has, so far, been very straightforward. It’s the next section that’s the bugger. A path does start heading east, and reaches another cairn that is denoted by the Ordnance Survey as an ancient tumulus (pictured), and past this, while the path becomes less distinct it does at least struggle on for a while. Beacon Fell (on the left) and Wool Knott are clearly visible ahead, and there are points at which the whole enterprise seems no bother at all. Unfortunately this won’t last. The sketchy path plunges down into an unexpected ravine which looks far too much trouble to bother with; but trying to avoid this gully by heading for a gentler crossing then enmeshed us in a forest of bracken and heather that was very disagreeable. It may be that there is a decent route here but to be honest my experiences on walk 78 as well as today don’t promise much. Eventually we did break through onto a decent path that bends round to come at Beacon Tarn from the north, but from Yew Bank summit to that point had been 30-40 hard and unpleasant minutes, and I don’t envy anyone seeking to follow our footsteps here. At this point Joe decided to forego the summit of Wool Knott and have a sabbatical on the shore of Beacon Tarn, which seemed a highly sensible option to be honest: I, more committed to the need for peak-bagging, left all the packs with him and headed for Wool Knott on my own. 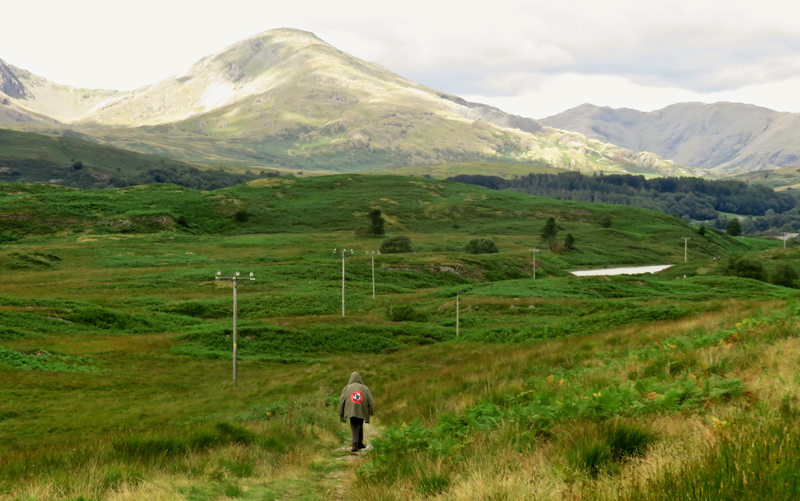 The path is the one to the right (west) of the tarn. Luggage-free, I attained the summit and returned to pick him up in 20 minutes. Beacon Fell was then another 15 minutes or so up from the tarn. I didn’t see the full view last time due to cloud, but the panorama of the Coniston fells is, as expected, a good one — Dow Crag, particularly, looks very dramatic from here. The descent route to the north of Beacon Fell is fairly obvious and heads downwards without incident. Eventually it brings you out onto the tiny strip of tarmac that runs along the northern edge of Blawith Common. When you reach it, turn left, follow the hairpin round, and then bear left onto the signposted public bridleway, which is actually the Cumbria Way. Follow this path until it crosses a footbridge and comes out onto the road; this is the A-road between Coniston and Ulverston, and can be busy, so take care crossing it. Go up the path to the right of the little car park and this will bring you to the Sunny Bank jetty a few minutes later. Hopefully there will be a boat that can pick you up here but if you do miss it, or it is full, you will just have to walk back along the shore to Coniston. Sun-worshipping commentary: Yes, yes, I know it was only ten days since I came back from our week’s holiday in the Lakes. But I always intended to go for another walk at some point between now and the 15th, because after that I won’t be doing any more until at least the first week of September. 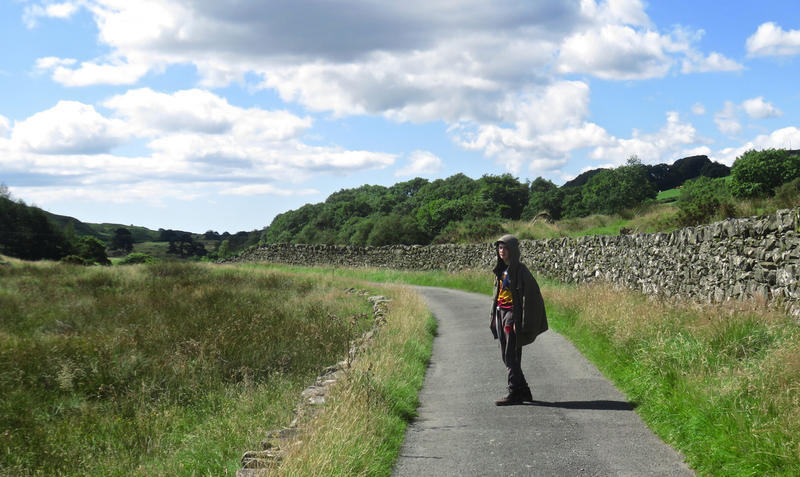 Joe came with me mainly to give him something to do during these school summer holidays, and did well in the end; it was a longer walk than expected and we couldn’t afford to miss the boat. He’s getting fitter, I think. The weather forecast was a decent one but predicted fairly cool and windy weather… unless I just misread it. Which is possible, because as a forecast that really was lousy. It was a good 10ºC warmer than what we had back at the end of July, and the coats we brought along were complete excess luggage. Nice to have the sun back however. Those last four cold and cloudy walks were not terrible but they did have a bit of a cumulative down effect. It’s a shame about that bit in the middle of this walk because it’s otherwise a very good one. I wanted to give the area a proper chance, having visited it before on a rather wet January day — nowhere’s going to be at its best on a day like that. 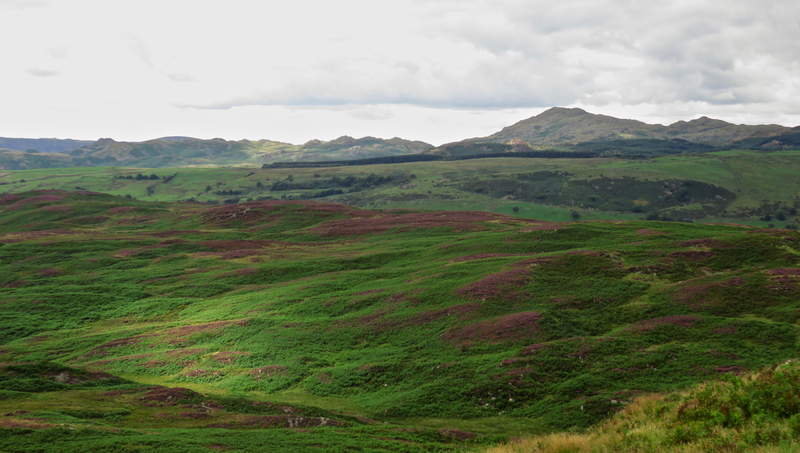 Remembering the expanses of heather around Yew Bank from last time, mid-August was always going to be a good time to go, and the logistics of the walk came to me when we were here and picked up a timetable for the Coniston Launch service. Relying on that instead of walking all the way back to Coniston made it a manageable distance, and was a nice end to the walk in its own right. Coniston Water doesn’t look all that spectacular when you’re at the northern end looking down it, but the view back up that way, of the head of the lake backed by the fells, really is a dramatic one. 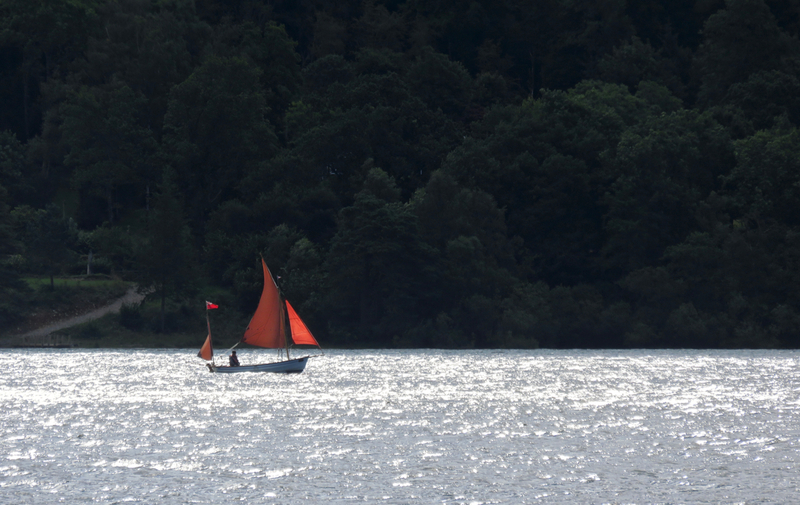 That’s the fifth or sixth time I’ve caught a boat as part of this project, I think (depending on whether you count the Windermere ferry). Although I’m very glad we didn’t bust a gut trying to make the 2.30pm service and then, like the family who were waiting there when we arrived, get refused permission to board because it was full. Anyway, not much more to mention today. Definitely will be a month or so until the next one, let’s hope the sun’s still shining and like 2016 there’ll be good weather through autumn. Or maybe Donald Trump, the lunatic, will have blown the world up by then.